Laser skin resurfacing is one of the greatest developments in facial skin rejuvenation to come along in decades. Since first being utilized in the 1990’s, it has proven to be as safe and useful technique to significantly reduce the amount and severity of facial wrinkles for many satisfied patients. For years, the main methods for resurfacing the facial skin involved either chemical (acid) peels, or dermabrasion. Although both of these techniques involved removing the top layers of skin, they each had their limitations, especially with regard to consistency, patient comfort and safety. The introduction of CO2 Laser Resurfacing brought about significant improvements to the safety and consistency of skin resurfacing. And there is an additional benefit: The laser actually tightens the skin as it is performed! The key with laser skin resurfacing is that the computer can deliver the pulse of energy so rapidly, that the skin does not heat up very much. This allows tightening, without unwanted scarring of the surrounding tissues. The procedure is performed in the operating room, using sterile technique. The patient receives either intravenous or general anesthetic, along with local anesthetic. During the resurfacing procedure, the laser is used to treat the surface of the skin during the first pass. After wiping away this top layer of skin, the laser is used on subsequent passes to further shrink and tighten the underlying collagen tissues of the skin. Afterward, ointment and ice packs are applied. The recovery period involves approximately 10 days of using ice packs, placing ointment on the face and remaining indoors. At approximately 10 days after the surgery, although the skin is still red, it is healed enough to apply concealing makeup and allow the patient to go into public. The redness usually fades within 6-10 weeks, depending on the patient, though the cover up makeup hides it very well. The history of CO2 laser skin resurfacing is also quite interesting. The CO2 laser has been used for decades in medicine as a cutting tool. The advantage it holds here is that it coagulates(stops the bleeding) at the same time that it is cutting. In fact, the CO2 laser is often used to perform eyelid surgery (Blepharoplasty) by Dr. Sanderson. Advances in computer technology allowed the scientists to develop the CO2 laser for resurfacing purposes, by delivering the pulse of laser energy very rapidly. CO2 laser resurfacing does have its limitations however. 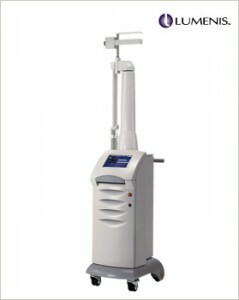 Although the laser can be used to tighten the texture of the facial skin, and it can diminish lines on the face very well, it is not strong enough to “lift” the structures of the face. The laser is simply not designed for such a purpose. In order to “lift” the face, jowls, neck, etc, another procedure (a facelift, minilift, brow lift, etc…) would have to be performed. 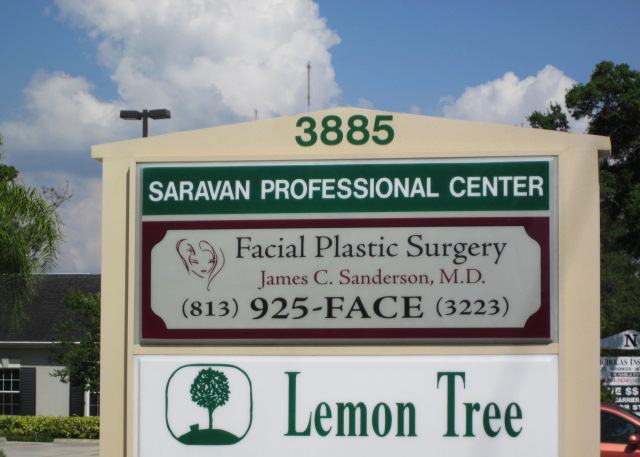 Dr. Sanderson’s use of the CO2 laser has been extremely well received. He feels that it has become the “gold standard” with regard to wrinkle and fine line reduction on the face. His patients have been raving about its rejuvenating effects! It is important for each patient to understand as much as possible about the laser prior to embarking on its use. Dr. Sanderson feels it is important for each patient to understand the laser’s potential benefits, risks, goals and expectations. He feels that the laser is not the only option available for rejuvenating the face, but that it is a very useful tool for those patients who are good candidates for the procedure.